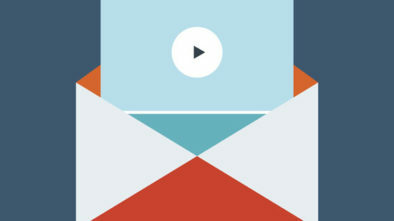 Video marketing service can be an opportunity to delight your customers in ways that other services can not. The marketing lifecycle consists of three major processes, which are attracting a customer, selling something to them, and somehow delighting them about having made the purchase. While the majority of video marketing service up till now has been focused on the first two components, attracting and selling, the third component of this lifecycle is now beginning to get a little more visibility and attention. The reason for this is that it’s beginning to be understood much better than making a customer very happy can be a key factor in establishing customer loyalty. Customer loyalty is very important because statistics bear out the fact that it costs much less to retain a customer than it does to go out and acquire new ones. That being the case, a great deal of emphasis is now being placed on video marketing projects which attempt to wow and delight the customer. Everyone loves to see themselves in a video or in a photo, and this is a truism which can be used to your benefit by asking customers to relate their positive experiences with your company and your products in a video. 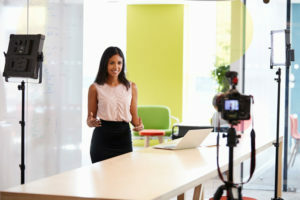 In many cases, customers are so thrilled with the idea of being recorded on video that they develop enthusiasm for your company and products right on the spot, and are more than willing to heap praise upon both. This benefits your company tremendously because nothing is more convincing than customer testimonials since they are perceived as coming from everyday people just like the viewers. Not only does this strengthen your ties to those customers you record, but it creates content that will be viewed and shared extensively, and new customers will be attracted simply by developing confidence in your company, as a result of the trust displayed in the video testimonial. Human nature dictates that all people enjoy being thanked and appreciated for something they’ve done, for instance having made a purchase. There are of course other ways to say ‘thank you’ to a customer, but many of these lack the personal touch and the immediacy of a video recording. Videos which express your gratitude for customer patronage can be very effective because customers realize you made a big effort to produce this video just for the purpose of expressing your gratitude. Companies which have made liberal use of thank you videos have routinely experienced huge increases in customer engagement. Service video marketing can be an opportunity to express gratitude to your customers for their loyalty which in turn can delight and strengthen that loyalty. Providing online customer service through customer support videos can be very effective at explaining your products, describing your brand values, demonstrating how-to procedures, and simply responding to frequently asked customer questions. 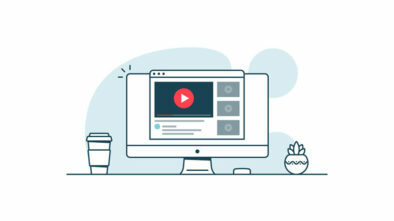 This is a very effective way of onboarding new customers as well, and the fact that you’ve gone to the trouble of creating such a video usually makes a big impression on viewers. This is another great way to increase engagement with your existing customers and to pull in leads by word-of-mouth buzz. There are always bound to be times throughout a calendar year when your customer service team becomes completely bogged down, and simply cannot respond in a timely manner to customer requests. As an example, this often happens around holiday time, when company resources are stretched to the limit by an abnormally high volume of requests and calls. To avoid having a number of customers get frustrated and aggravated with your company because they feel they’re being ignored, you can make a disruption of service video which can help soothe some ruffled feathers. By explaining exactly what the situation is, most users will be satisfied and will understand the situation. This is much better than allowing them to become annoyed and frustrated, and possibly disengaging from your company as a result. One of the best ways you can go about having a successful product launch is to create a video about the new product, and the need which it fulfills. The same is true if you have made a significant change to an existing product, and wish to appraise your customer base of its new capabilities or features. In either case, you can quickly pave the way for greater customer acceptance by explaining how to take advantage of the new customer product features, and why they might be of benefit to people in the audience. Many people are not just visiting the Internet these days, they are spending much of their time there, and this is a fact that you can take advantage of to reach your target audience, even when they’re not thinking at all about your company or your products. They may be simply engaging with others on the social media or just whiling away the hours online. These are moments that you can capture and make use of to promote your brand name, your products, and your willingness to engage with potential customers. If you can find where your target audience is spending the majority of their time online, you can establish a presence there yourself, and subtly arrange for points of contact, to establish and maintain visibility for your brand. Short little videos are all that’s necessary to do the trick, and these can be strategically placed wherever your target audience might see them, in micro-moments throughout the day.